History: 10 year old female with this Aunt Minnie finding on scout KUB for a retrograde voiding cystourethrogram. 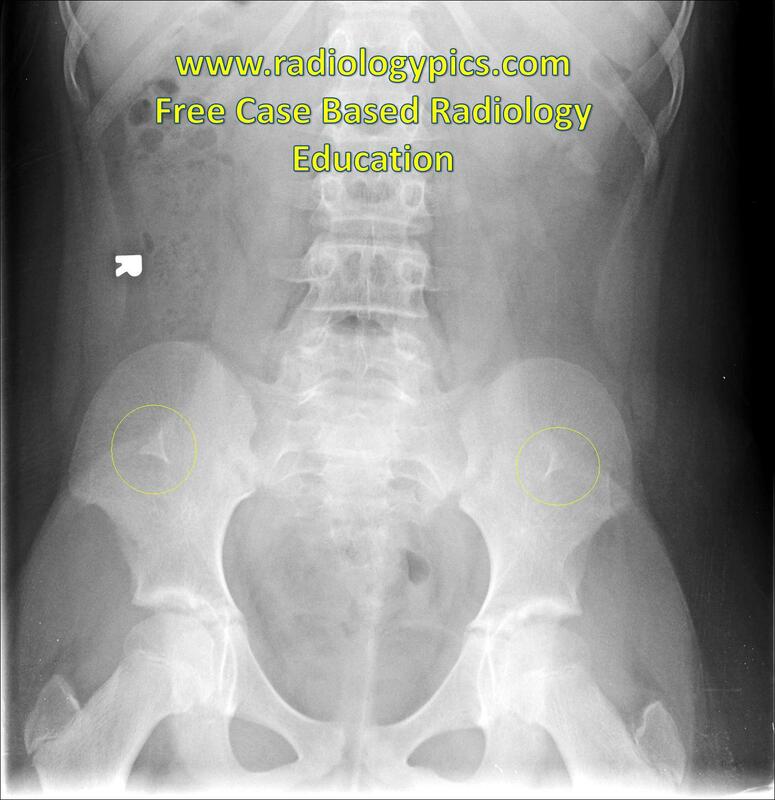 Nail Patella Syndrome: Frontal KUB shows conspicuous iliac horns bilaterally (yellow circles). This finding is an Aunt Minnie for Iliac Horn syndrome, also called Nail Patella Syndrome or Hereditary Osteo-onychodysplasia. 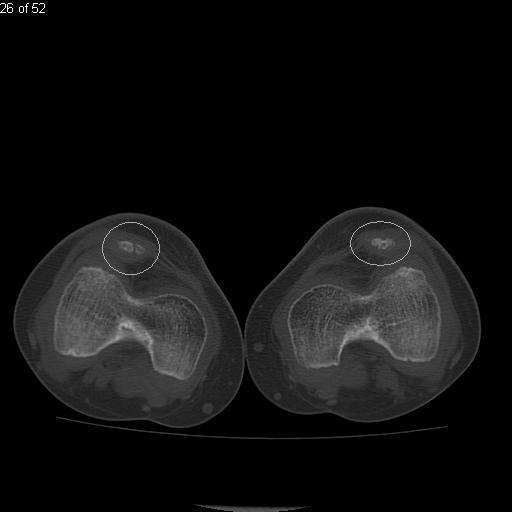 Nail Patella Syndrome: Lower extremity CT shows hypoplastic patella bilaterally, which are also dislocated superolaterally (white circles). Nail patella syndrome is a congenital disorder seen in about 1 in 50,000 live births, and is caused by mutations in the LMX1B gene. Nail-patella syndrome manifests as deformities of the nails, knees, pelvis, and elbows. Patients with this disorder are at risk for renal disease, which is why this young girl was undergoing a voiding cystourethrogram. Besides the three names already given, nail patella syndrome has also been referred to as Fong disease, osterreicher Syndrome, and Turner-Kieser Syndrome.